Tulips are nearly synonymous with the Netherlands, but they’re not native to Holland. The flowers were introduced to Western Europe from Turkey in the sixteenth century, by the Ottoman Empire. The Dutch royal family sent 100,000 tulip bulbs to Ottawa in 1945, to thank Canada for sheltering Princess Juliana and her family during the Nazi occupation of the Netherlands. Tulips are the third most popular flower in the world, after roses and chrysanthemums. The demand for tulips set off “Tulipmania” in the Netherlands around 1637, and prices soared. However, the unusually beautiful flowers were due to a tulip virus that caused colorful streaks on the petals, but the tulip varieties didn’t survive long, and the tulip market crashed. In addition to tulips, the Skagit Valley produces about half of the world’s beet and Brussels sprouts seeds. The Skagit Valley in northwest Washington, 60 miles from Seattle, becomes one of the most brightly colored destinations in the world every spring, when thousands of tulips burst into bloom. The valley has long been a major grower of the flowers, but it’s more recent that it has also become home to one of the best springtime events in the Northwest. In 1984, the Mount Vernon Chamber of Commerce inaugurated the Skagit Valley Tulip Festival as an official annual event after realizing people were coming by the thousands to see the fields of colorful tulips in bloom. In 1994, the festival grew so large, it parted ways with the Chamber of Commerce and become its own entity. When the festival first started, it lasted a mere three days. However, as years passed, it became evident that blooming seasons varied from year to year and prediction wasn’t always accurate. The festival extended from three days to ten days, then again to seventeen days, and finally to the full 30 days of April. This ensures the tulips’ blooming season will land somewhere within the festival—the official festival website even has an interactive map to tell you which fields (and which colors) are in bloom throughout the month. Nowadays, the Skagit Valley Tulip Festival encompasses more than 300 acres of land and hosts more than 1 million visitors every year. Most visitors come from all around the Puget Sound area, including Seattle, though some visitors travel from as far as Holland, considered by many to be the biggest tulip growers in the world. In addition to the fields of colorful blooms, the festival offers many activities. Art shows and concerts show the culture of the area, while basketball and lacrosse tournaments appeal to active guests. The nearby town of Mount Vernon is a great place to spend time, and the Downtown Mount Vernon Street Fair and the Kiwanis Salmon Barbecue are especially popular, serving as fundraisers for local establishments. Local shellfish harvesters and cheese makers offer tours of their operations. Running enthusiasts enjoy the annual Tulip Run, a 2-mile or 5-mile flat course on gravel trails, which is so memorable that it’s recently been recommended in Runner’s World, while cyclists flock to the Tulip Pedal, an independent 20-, 40-, or 60-mile bicycle route through the area. One of the major growers of the Skagit Valley Tulip Festival is Roozengaarde, the largest grower of flower bulbs in the United States. They are owned by the Roozen family who has been growing bulbs in the United States and Holland since the early eighteenth century. Their blooms in Skagit Valley are spread across 1,000 acres of tulips, daffodils, and irises. Their Display Garden alone boasts over a quarter of a million bulbs and an authentic Dutch Windmill. Another of the largest growers in the festival is Tulip Town, owned by Tom DeGoede, who lived in Holland until the mid-twentieth century. Tulip Town’s International Peace Gardens are filled with tulips, daffodils, hyacinths and peonies. They also offer a Dahlia Shop, an art gallery, an espresso bar and a gift shop filled with souvenir festival posters. Their indoor show includes a 110-foot painted mural of Skagit Valley. Visitors can also capture photos of the fields of blooms from a trolley ride or watch the professional kite demonstrations during festival weekends. The Skagit Valley Tulip Festival is close to many other enjoyable Washington State sights and activities. 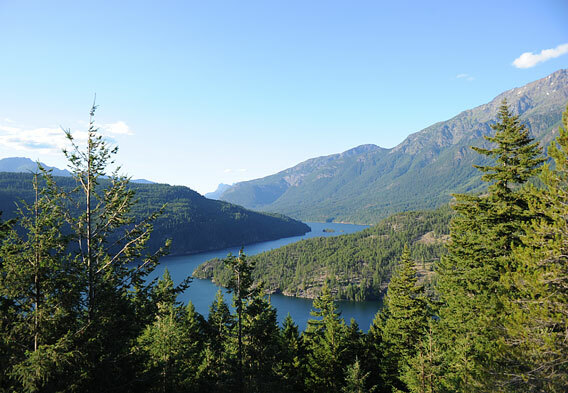 East toward the Cascade Mountains is the North Cascades Highway, named by National Geographic Traveler as “one of America’s grandest, most spectacular drives.” The route begins at Discovery Bay and winds through the mountains to Port Townsend, on the Olympic Peninsula, and continues on the Port Townsend-Keystone ferry route to Whidbey Island. 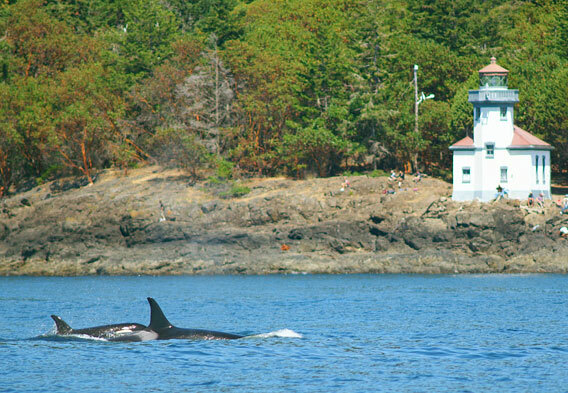 The San Juan Islands, in the north Puget Sound, draw visitors from all over the world for their whale watching opportunities. In April, the same month as the Skagit Valley Tulip Festival, it’s common to see the Gray Whales on their annual migration from Baja, Mexico, to Alaska. Whale-watching tours to see the orcas are also available. 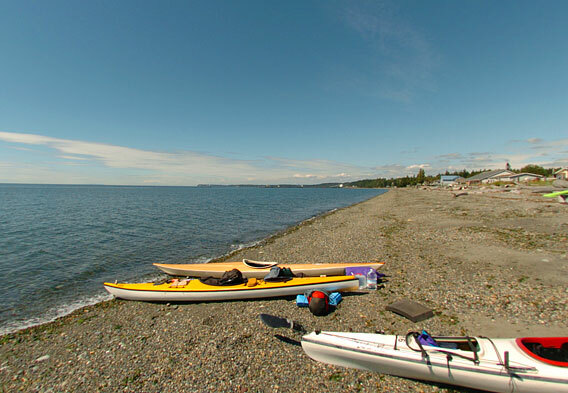 If you prefer to captain your own sea vessel, try kayaking along the most northeastern of the San Juan Islands, Lummi Island. Hire a kayak tour company to guide you, or rent your own equipment for unbeatable solitude on the water. Lummi Island is just off the coast of Bellingham, about 25 miles north of where the tulip festival is held—the ferry crossing takes only six minutes.